Zoonotic diseases that backyard poultry may spread to humans include salmonellosis, campylobacteriosis, and avian influenza viruses. Since the 1990s, numerous widespread outbreaks of human Salmonella spp infections linked to contact with backyard chickens have been documented in the United States.4 Some humans—including children younger than 5 years, humans with weakened immune systems, humans 65 years of age or older, and pregnant women—are at higher risk for serious illness from poultry-borne zoonotic diseases. Symptoms of salmonellosis or campylobacteriosis include diarrhea (which may be bloody), fever, and/or abdominal cramps. In cases of severe infection, hospitalization may be required and infection may spread from the intestines to the bloodstream and other body sites, which can be life threatening. Infection generally lasts up to one week. Hands should always be washed thoroughly with soap immediately after touching poultry or anything in their habitat. Adults should supervise handwashing by young children. Hand sanitizer should be used if soap and/or water are unavailable. Poultry should not be allowed to enter homes, especially areas where food or drinks are prepared, served, or stored. Owners should designate a pair of shoes to wear while caring for poultry and avoid bringing those shoes into the home. Children younger than 5 years, those with weakened immune systems, pregnant women, and adults 65 years or older should not handle or touch chicks, ducklings, or other live poultry. Food or drink should not be consumed in areas where poultry live or roam. Birds and other poultry should never be kissed or snuggled, and touching of the face or mouth after handling birds should be avoided until hands can be washed. Equipment or materials used to raise or care for live poultry (eg, cages, feed or water containers) should be cleaned outside the home. Heymann DL. Salmonellosis. In: Heymann DL, ed. Control of Communicable Diseases Manual. 20th ed. Washington, DC: American Public Health Association Press; 2015:532-539. Behravesh CB, Brinson D, Hopkins BA, Gomez TM. Backyard poultry flocks and salmonellosis: a recurring, yet preventable public health challenge. Clin Infect Dis. 2014;58(10):1432-1438. Centers for Disease Control and Prevention. Campylobacter (campylobacteriosis). CDC website. https://www.cdc.gov/campylobacter. Updated October 25, 2017. Accessed December 7, 2017. Basler C, Nguyen T, Anderson TC, Hancock T, Behravesh CB. Outbreaks of human Salmonella infections associated with live poultry, United States, 1990-2014. Emerg Infect Dis. 2016;22(10):1705-1711. Centers for Disease Control and Prevention. How infected backyard poultry could spread bird flu to people. CDC website. https://www.cdc.gov/flu/pdf/avianflu/avian-flu-transmission.pdf. Accessed December 7, 2017. Centers for Disease Control and Prevention. Avian influenza current situation summary. CDC website. https://www.cdc.gov/flu/avianflu/avian-flu-summary.htm. Updated April 12, 2017. Accessed December 7, 2017. Greenacre CB, Morishita TY. 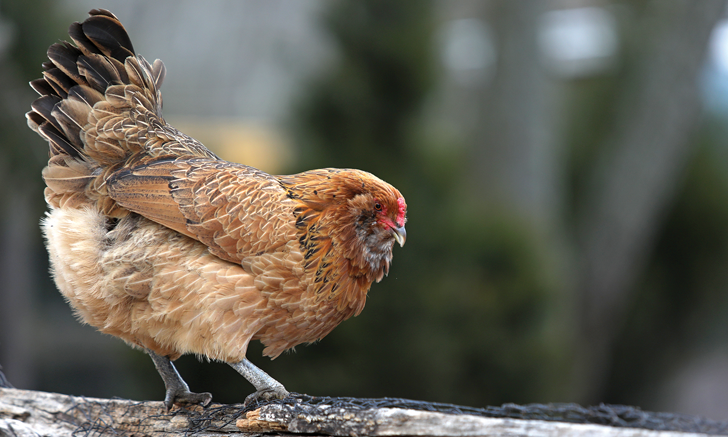 Backyard Poultry Medicine and Surgery: A Guide for Veterinary Practitioners. Ames, IA: Wiley-Blackwell; 2015. United States Department of Agriculture. Biosecurity for birds. USDA website. https://www.aphis.usda.gov/aphis/ourfocus/animalhealth/animal-disease-information/avian-influenza-disease/birdbiosecurity. Updated June 29, 2017. Accessed December 7, 2017.